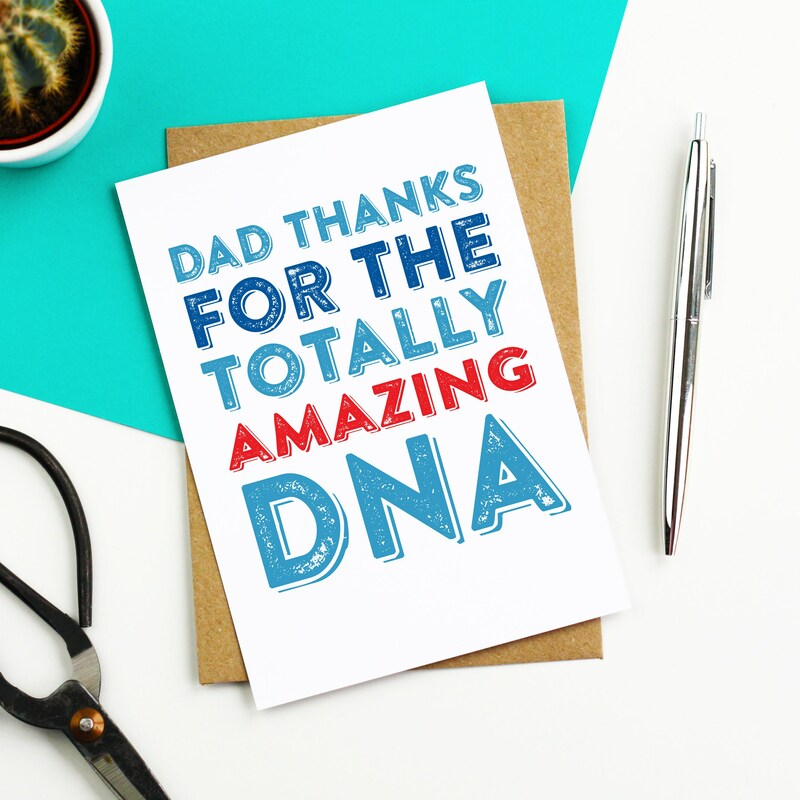 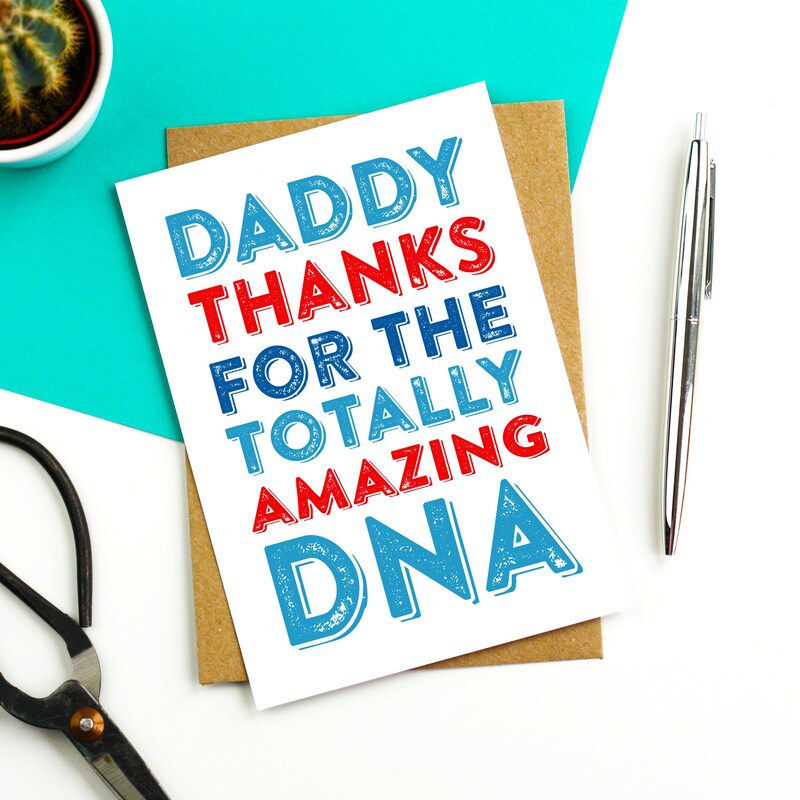 Dad Thanks For the Amazing DNA Letterpress Inspired Woodblock Contemporary Typographic British Made Father's Day Greetings Card - perfect for sending to you Dad to congratulate him on making you! 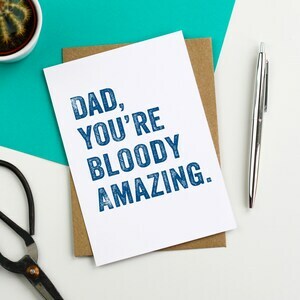 Absolutely brilliant card, professional quality, delivered amazingly quickly, with fantastic communication from the seller. 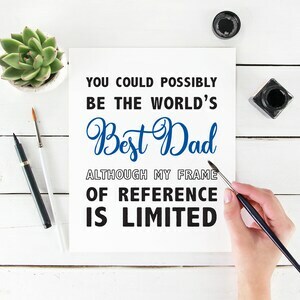 Can't ask for more, will definitely buy from again!